Malaysia Automotive Robotics and IoT Institute (MARii) chief executive officer Datuk Madani Sahari says the battery type would be similar battery used in Tesla car models in terms of size and energy retention. NST picture by Surianie Mohd Hanif. 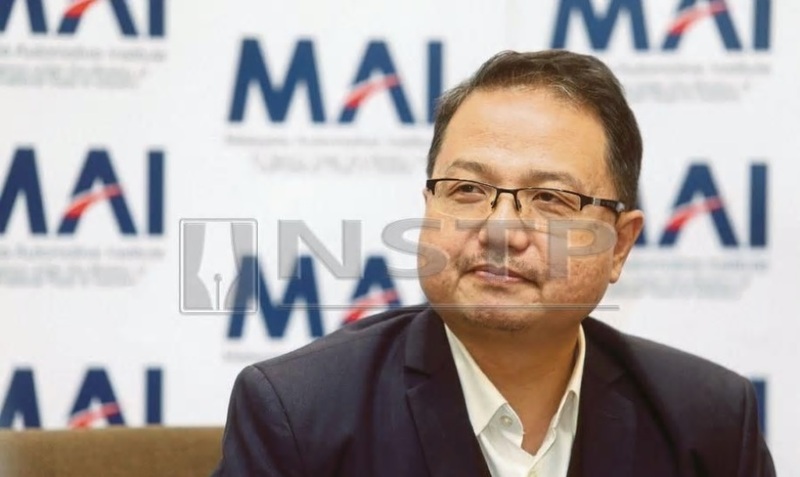 Malaysia Automotive Robotics and IoT Institute (MARii) chief executive officer Datuk Madani Sahari said the battery type would be similar battery used in Tesla car models in terms of size and energy retention. "The party involved in this battery prototype and production is a locally listed company that has been working with MARii for the past few years. "We are looking at possible production sites in Negeri Sembilan or Selangor which will be finalised in the first-half this year," he said after the overview of the automotive industry in 2018 and outlook for 2019 media briefing, here, today. Madani said the company is completing its feasibility study of the battery prototype within three months, while evaluating its energy retention capability to suit the local`s tropical climate. "The battery`s size is 18650 cells. We expect to market this battery for electric vehicles like car, bus and motorcycle," he added. Madani said the country`s battery production plan would instill foreign automotive industry investors` confidence, which in turn attract more potential foreign direct investments into Malaysia. "We want to establish Malaysia as the lithium ion`s battery producer in the region. Globally, there is insufficient of lithium ion batteries for automotive as the demand is rising," he said. Madani said the initiative would be the enabler to grow the electric mobility segment in the country. With the global trend of moving towards electro mobility, hybrid and electric vehicles are becoming more popular choice among consumers to reduce dependency on fossil fuels and to cut operational cost. Deputy Minister of International Trade and Industry (MITI) Dr Ong Kian Ming said the automotive industry remains a catalyst towards developing a Malaysian workforce. "This is important aspect to adopt technology and high value processes, synonymous with the capabilities of the advanced nations of the world," he said. Dr Ong said the entire ecosystem must further transform to meet changing demands for future automotive products and services. "The automotive industry intends to lead Malaysia`s drive towards emerging as a serious contender in the regional and global markets," he said. Madani said MARii is also hopeful to kick start the autonomous vehicles test bed in Cyberjaya in the second-half this year. "We will work with other government agencies such as Road Transport Department, GreenTech Malaysia and the Malaysian Institute of Road Safety Research. "We will be testing various autonomous technologies here to see its compatibility including the environment and infrastructure as well as the reliability based on the local climate environment," he said. According to MARii, the country`s energy-efficient vehicles (EEVs) penetration is expected to reach 70 per cent in 2019 from 62 per cent or 339,978 units sold last year. In 2018, the country`s automotive segment parts and components exports hit RM12.1 billion and the remanufactured parts exports at RM523.1 million, involving 405 companies (vendors) with 64,839 jobs created. Madani said most of the parts and components exports value to increase by RM1 billion this year, mainly for the chassis, suspension and rubber parts to Asean, China and Middle East as well as some part of the US. The committed localisation is expected to reach RM12.23 billion this year from RM9.24 billion recorded last year. Malaysia`s completely built-up unit (CBU) exports to reach RM2.5 billion from RM2.08 billion recorded last year. The main driver for CBU exports include mid-high end vehicles such as Mazda, Volvo, Mercedes and BMW. Madani said the automotive sector`s gross domestic product (GDP) contribution is expected to hit 4.2 per cent for 2018 and 4.3 per cent this year. For new investments approved in 2018 until 2023 amounted to RM7.87 billion with additional new investment of RM3 billion is expected for this year. Malaysia also recorded RM9.89 billion in terms of realised investments from 2014 until October, 2018.